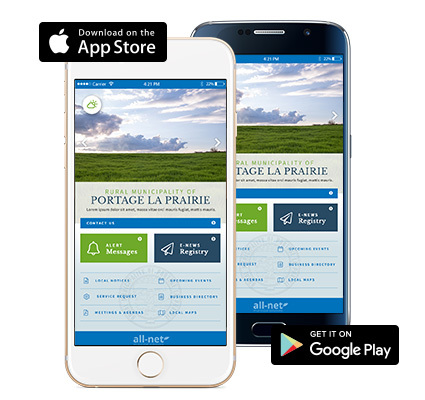 The RM of Portage la Prairie is pleased to introduce our new Smartphone APP, available now for free download. The APP will allow you to receive push notifications, directly to your smartphone, for important notices as soon as they are released. Please turn on your notifications in your settings for the RM APP to enable this feature. The APP also allows direct access to local notices, upcoming events, Council Meeting minutes and agendas and service requests. A directory is also available for businesses located within the RM of Portage la Prairie to submit their information. If you would like further information, please contact the office at info@rmofportage.ca or 204-857-3821. The iPhone app can be downloaded from the Apple App Store by clicking here.